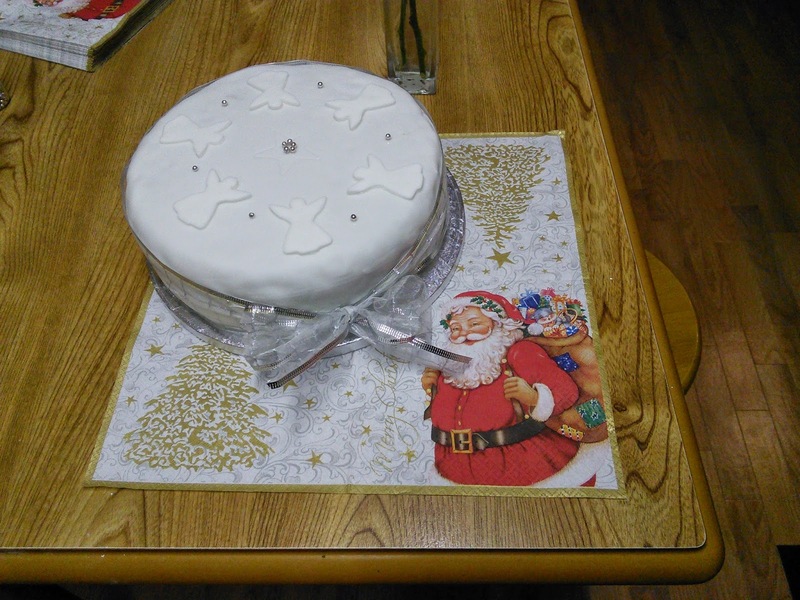 Christmas Cake Decoration – Where Is My Teaspoon? Hey all, just wanted to share a photograph of how we decorate our Christmas Cake. Like most people, we use ready made marzipan and icing but sometimes the easiest way is the best way. All you really need to make a pretty cake is a few cookie cutters, a pretty bow and some edible silver balls. Extra points if you have a Christmas napkin to serve it on.